Nowadays, the success of process design relies on an effective communication between collaborative design team members, among others. Product Lifecycle Management (PLM) tools represent a key platform to support knowledge sharing at multi-disciplinary design teams working under collaborative engineering concepts. However, an important issue is to capture valuable expertise at collaborative work using the PLM platform reusing key knowledge. 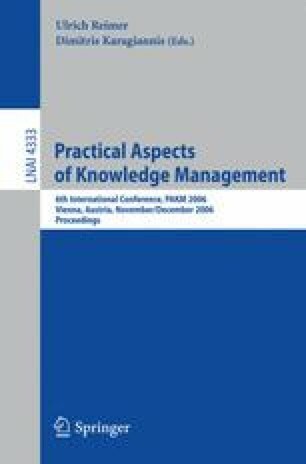 This paper contributes to knowledge management showing how the usage of knowledge structures at a PLM environment is suitable for assembly engineering applications. The present research encompasses multidisciplinary engineering work teams defining the assembly process of an airplane part. This paper argues that knowledge structures enable the capture and exchange of expertise at collaborative work increasing value added between collaborators. A case study is presented to validate this idea.